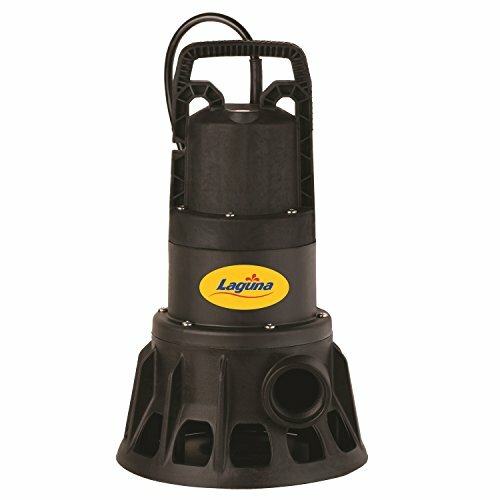 Laguna MaxDrive Pond Pumps are simple to install and simple to maintain. The MaxDrive direct drive pond pump is the ideal solids handling pump you want to drive your waterfall of skimmer filter. The Laguna MaxDrive pump range comes with a 3 year warranty. The MaxDrive Pump range is available in five sizes ranging from 1860 to 6600 Gallons Per Hour with head heights of up 39 Feet. Max Flo Rate: 5500 US GPH Max Head Height 36' Amp. 10 Watts 1000 Horse Power 3/4 Cord Length 20' Outlet Size 1.5" Solids Handling 1/4"